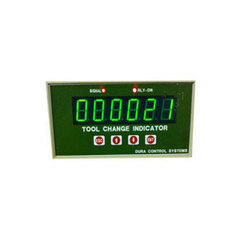 Prominent & Leading Manufacturer from Chennai, we offer production counter, industrial led display, digital bag counters, wireless temperature and humidity indicator and tool change indicator for galvanizing mills. 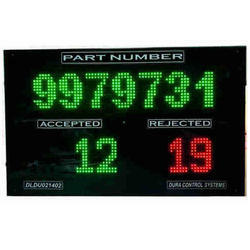 LED matrix displays can used for custom designed font as per customers requirement with industry standard colours. Generally used in production areas. User can select exact part number as per production through binary combination digital inputs. Number of BCD input(as per customers need and application). Individual digital pulse input for accepted and rejected parts. Operating voltage 230V AC@50Hz, ±10%. Wall Mounting rugged metal enclosure as per industry standard. We are the industry leaders, when it comes to supplying and production of a wide variety of Automation Equipments. 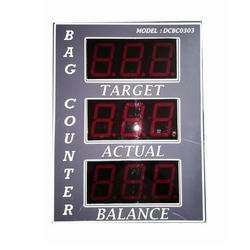 We are responsible for the manufacturing of Digital Bag Counters, which are highly efficient at their tasks. Advanced digital technologies are incorporated in our devices. Our products are very much cost efficient. They are very much long lasting too, as they are made out of high grade raw materials and components. The products can function very fast and can resist harsh industrial surroundings too. 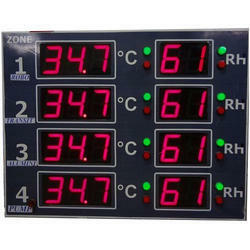 We are specialized in manufacturing temperature and humidity indicators for our valuable customers. To monitor the parameters of temperature and humidity at various places and update the values in single wall mount 4 inch LED Dislay through wireless. High accuracy temperature and humidity sensor has suitable for temperature range from 00.0ºC to 99.9ºC and humidity range upto 99%Rh. Pass/Fail Indication for abnormal temperature and humidity. Minimum and maximum range can set through IR Remote Control. We are the pleased to provide our valuable clients with Tool Change Indicator for Galvanizing Mills, which are made out of high grade components. Our reasonable products, which operate in 230V AC supply or single 24V DC, possess non-volatile memory. 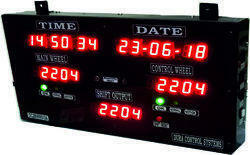 Looking for Digital Displays ?